In case you haven’t got the word yet: Cartoon Network will be premiering a brand new Looney Tunes Show on Tuesday, May 3rd. They’ve set up a web site with lots of pictures, video clips, and even a fan discussion board. Needless to say there’s already a lot of discussion (to put it mildly) on places like Cartoon Brew about the ups and downs of the new show and the new character designs. Recently DirecTV has been running a series of ads featuring a very, very rich gentleman from Russia, showing off his indulgences — including, of course, DirecTV. But the thing that has seemed to get the most attention in the ads is sort of in the background: A little, miniaturized giraffe the fellow has for a pet. Everyone seems to have noticed the little guy, and they’re talking about him on line. So much so that someone (presumably DirecTV) has given the “petite lap giraffe” his own web site! “Welcome to world wide famous Sokoblovsky Farms. 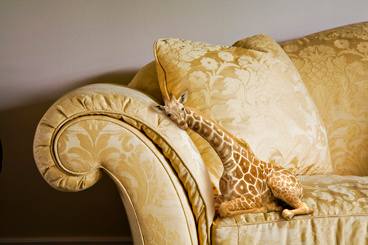 The best and only breeders of Petite Lap Giraffes” says the introduction. There are lots of funny pseudo-Russian-isms used, of course (“To be clicking here!”). In addition to historical backgrounds and information about purchasing your own lap giraffe, there is also a 24-hour “Giraffe-Cam” where you can watch the petite bull Vladamir in his enclosure. Yes really. Not long after announcing that the sequel to the wildly popular film How to Train Your Dragon will be released to theaters in 2013, Dreamworks Animation let it be known that a brand new How to Train Your Dragon weekly TV series will be premiering on Cartoon Network in 2012. IGN has a lot of information about the new series up on line. Although we’ve been told that the TV series will feature the same characters in the same world as the feature film, it’s not been announced if any of the cast or crew from the feature will be working on the new series. And speaking of television: Don’t forget that sometime this fall, the much-delayed Kung Fu Panda TV series Kung Fu Panda: Legends of Awesomeness is set to premier on Nickelodeon. Humans really do use anthropomorphic characters for everything… we mean everything! Recently in France there appeared this animated public service announcement, explaining the need for sexually active people to protect themselves from AIDS… which uses the medium of cartoon animals, animated to look like something out of the 1930’s. Seriously. Where on earth did they show this thing, we wonder? Well it’s viewable on YouTube, but take warning: There’s nothing terribly explicit in this, but it is most certainly for adults only! Need more proof? The production company that created it is called Passion Pictures. This coming May, DC Comics and Eaglemoss Publications will be offering a brand new collectible figure of the other winged haunter of Gotham City nights, Dr. Kirk Langstrom — or, as he is known in his transformed state, the Man-Bat. 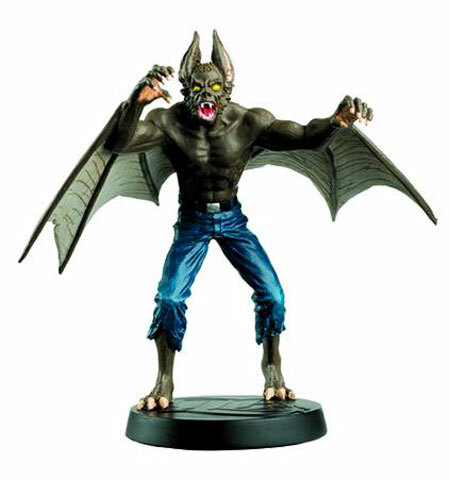 What’s more, when you purchase this new figurine you also get a 20-page full-color mini-comic collection featuring some of Man-Bat’s best-known appearances in Batman and other DC titles. Well this sort of came out of nowhere… A brand new CGI show featuring Jim Davis’ inescapable cat Garfield was made in France in 2008. Then, in 2009, episodes of The Garfield Show began airing in North America on Cartoon Network, with all-around voice actor Frank Welker voicing Garfield in place of the late Lorenzo Music. One of the main writers and voice directors for the series is Mark Evanier, who was also lead writer for the original 2D series Garfield and Friends in the 1980’s. Now it seems that Papercutz (home of the Geronimo Stilton series) is creating a series of hardcover full-color comic collections based on The Garfield Show. The collections are titled Garfield & Co., and they come to stores this May. And yet more interesting news on Cartoon Brew: The Ballad of Nessie is a brand new, 2-D animated short from Walt Disney Pictures. It’s scheduled to be released in front of the upcoming Winnie the Pooh movie this summer, which you may recall is also in 2-D. The film is directed by Stevie Wermers-Skelton and Kevin Deters, who both worked on How to Hook Up Your Home Theater and Prep and Landing. 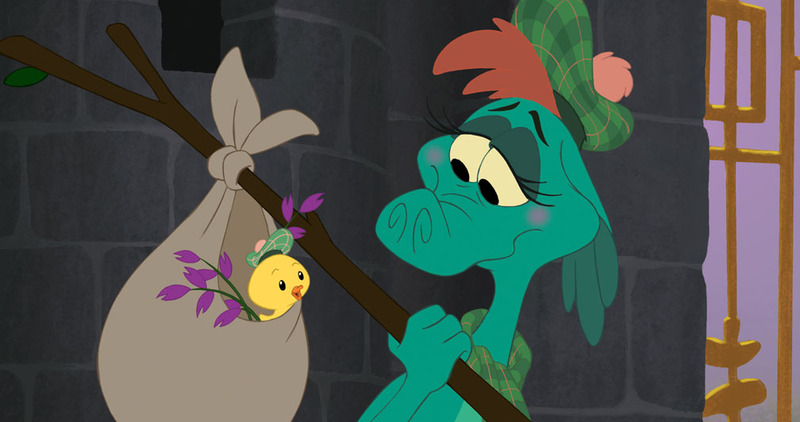 Several well-known animators worked on Nessie, including Andreas Deja, Mark Henn, Randy Haycock, Dale Baer, and Rubin Aquino. No video sneaks yet, but Cartoon Brew has pictures from the film, including the one you see below. Voting for the 2011 Ursa Major Awards will be open until April 17th. To find out how to cast your vote, visit the web site at www.ursamajorawards.org. Also, check out the Ursa Major Awards Live Journal to see links to some great examples from each of the nominees.